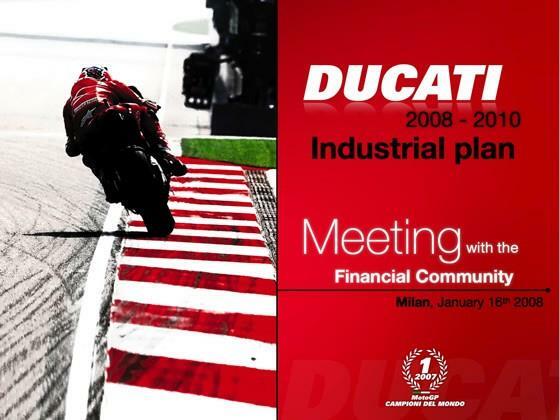 Ducati has announced plans to launch ten new bikes by 2010 during a presentation that's currently happening in Milan. The firm says its plans include three new bikes for 2008 - presumably the Monster 696, the 848 and the 1098R which it has already shown - followed by another three new models for the 2009 range and four new machines for the 2010 line-up. Details of the other new bikes are still under wraps, but the firm has said they will be "premium" machines, with the new Monster 696 acting as the only entry-level machine in the firm's range. The Altea Ducati squad of Shane Byrne and Carlos Checa was officially launched in Italy last week. Spanish veteran Carlos Checa will ride a Ducati 1198 in the World Superbike Championship in 2010.